Turkish Delights by Steve Outram - 6.125" x 8.000"
Turkish Delights wood print by Steve Outram. Bring your artwork to life with the texture and added depth of a wood print. Your image gets printed directly onto a sheet of 3/4" thick maple wood. There are D-clips on the back of the print for mounting it to your wall using mounting hooks and nails (included). 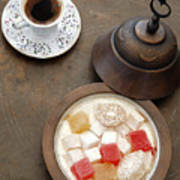 There are no comments for Turkish Delights. Click here to post the first comment. 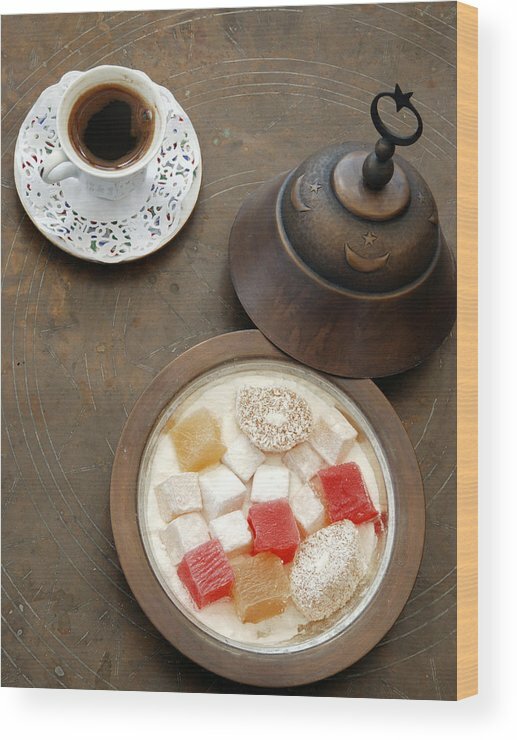 A cup of Turkish Coffee and a bowl of Turkish Delight. 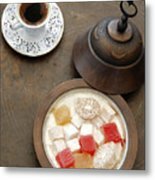 ( Loukoum ) Sultanhamet, Istanbul, Turkey.